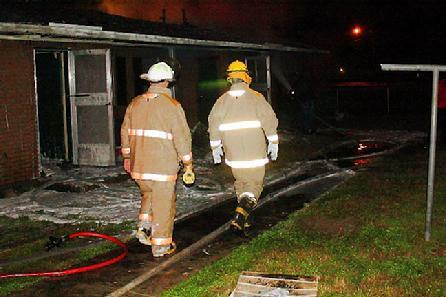 Corrigan Fire Chief Calvin Jones (left). Fire Totals Two Apartment Units, CORRIGAN, January 1, 2010 - Shortly after midnight on January 1, 2010, a fire was reported on Matthews Street in Corrigan. The fire allegedly originated in the back room of apartment number 45. The fire quickly spread to the roof and over to Unit 46. 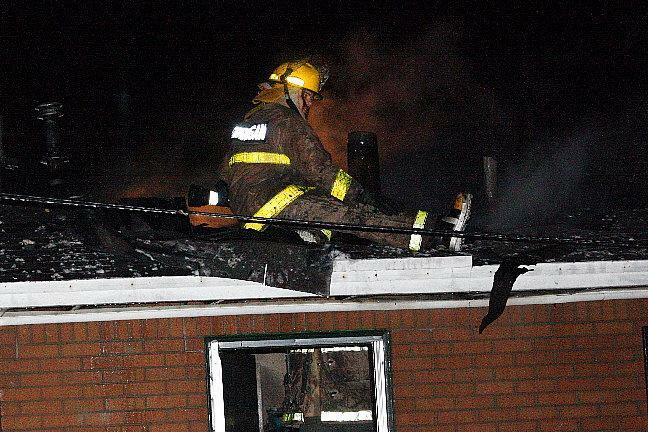 Volunteer Fire Departments from Corrigan, Diboll, Livingston, and Onalaska were summoned to help battle the fire that burned out the roof and totaled both units. 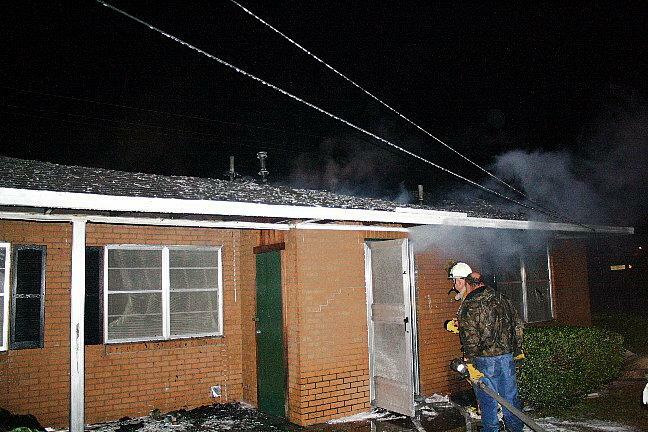 Fortunately, nobody was hurt or injured in the fire. 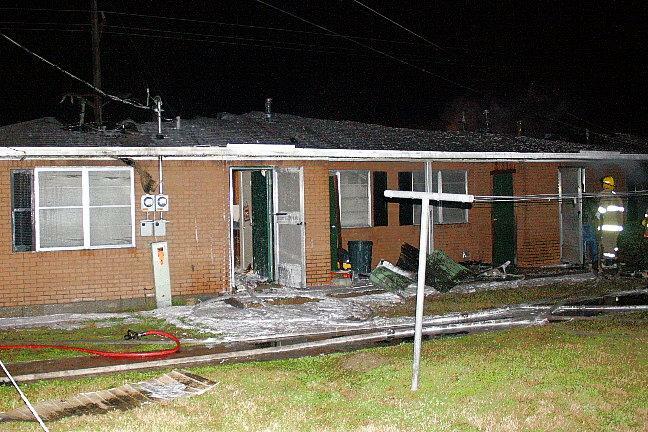 Corrigan Fire Chief Calvin Jones stated to PolkCountyToday.com that, initially, the fire is believed to be electrical in nature and is believed to have started in a back room on Unit 45. Corrigan Police Officer Chris Molandes was on hand to also investigate. 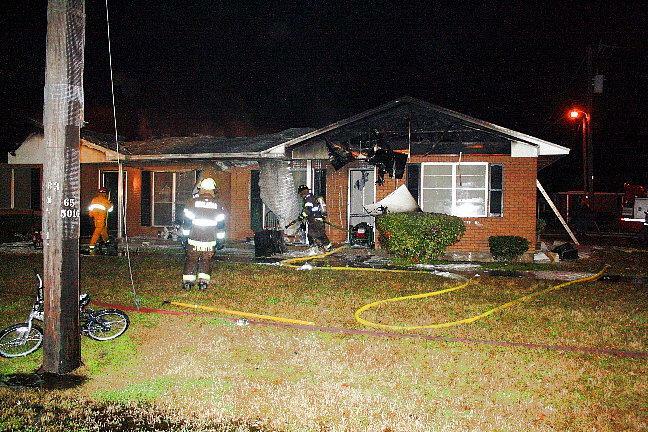 The fire was completely out before 3 am. 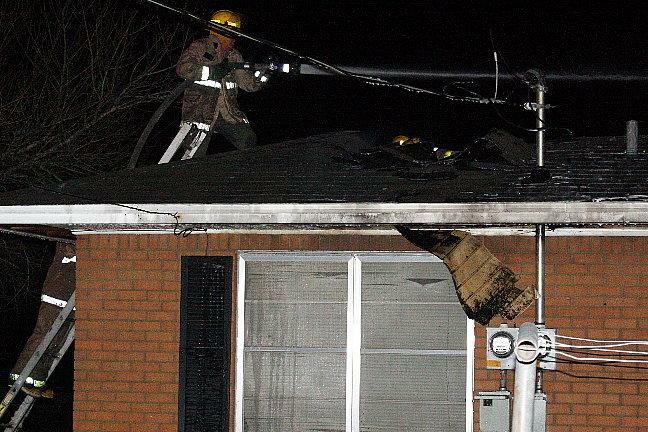 This picture shows how the roof has been burned out.